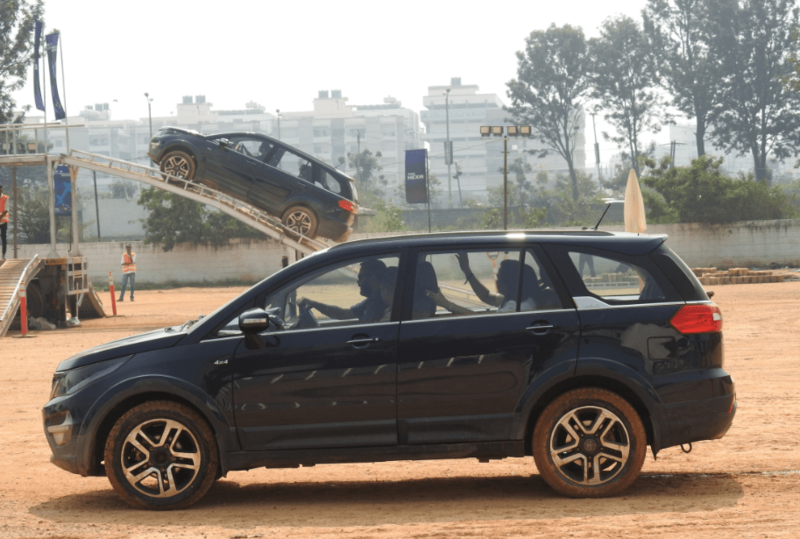 As part of my first event with Indiblogger, I was invited to experience the all new automobile offering from Tata – the brand new Tata Hexa at the Hexa Experience center. Being a car lover, I decided that this would be a good fit and headed to the Hexa Experience Center at White Orchid in Hebbal. 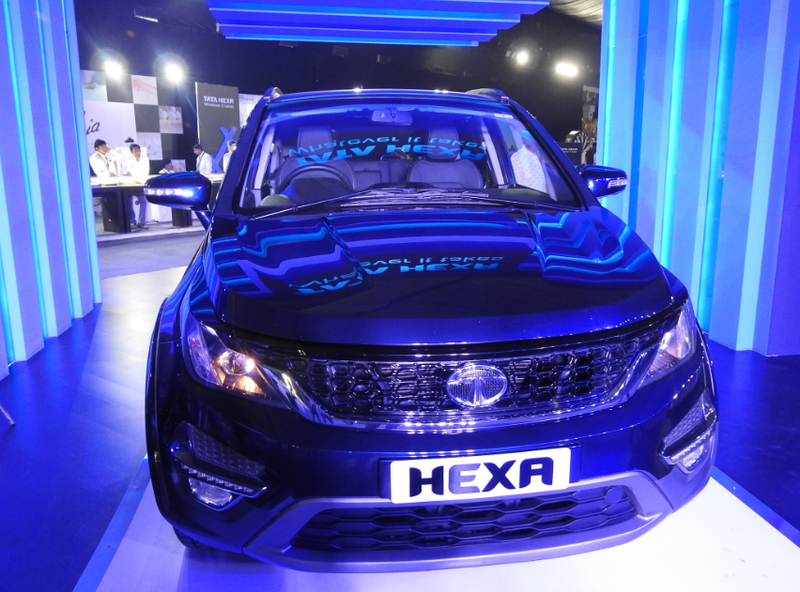 The covered venue was a hub of activity with the Tata Hexa taking center stage with the spot light firmly on the beautiful car. Naturally it was a while before I could get to see the vehicle from close quarters as it was surrounded by photographers with cameras of all sizes. So while waiting I headed to the digital zone where you can experience the car’s features on a laptop with help from one of the staff. 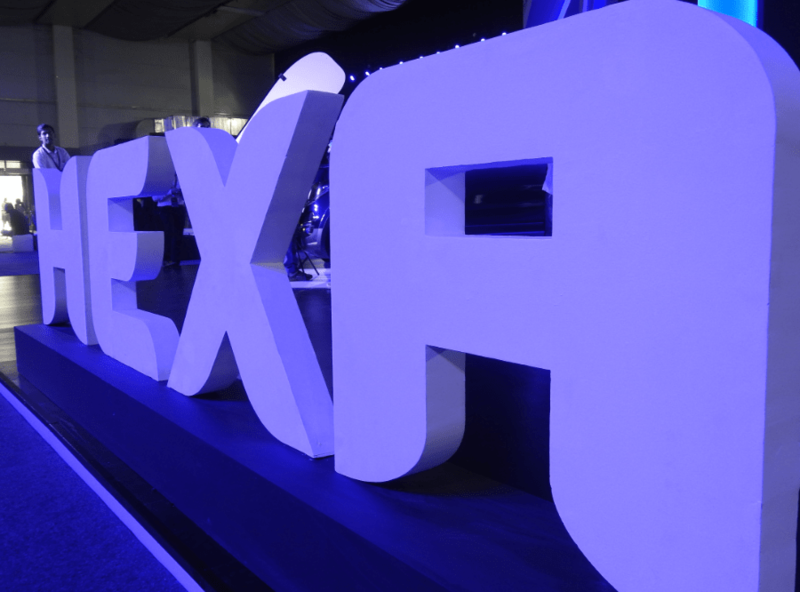 The experience center had been designed thoughtfully with something for the entire family. So while the kids have a specially created fun-zone, they can also navigate a toy car using a remote on a small elevated track. There were a few of the Tata brand stores like Mia from Tanishq with offers on jewellery. A pet adoption zone had also been setup at the venue. This apart a few food counters selling donuts, pizzas and rolls apart from a coffee and tea were also part of the experience. The Tata Hexa is a big car – well it has a Length x Width x Height of 4788 x 1903 x 1791 mm and a wheelbase of 2850 mm. Naturally the ground clearance is a good 200 mm and it has disc brakes on the front and rear. The front suspension is of double wishbone type with coil springs and the rear is a coil spring type 5 link rigid axle suspension. The 7 seater car has a fuel capacity of 60 litres and a turning circle radius of 5.75m. Available in five shades – Arizona Blue, Tungsten Silver, Pearl White, Platinum Silver and Sky Grey, the black one is a sure show stopper. The plush interiors have sculpted indulgent seats, ambient mood lighting (in five colours), a functional dashboard, sun blinds, contrast seat stitching that add a unique character to the seats and a Driver Information System (DIS). The car comes in XE, XM, XT, XMA, XTA and XT 4×4. The ConnectNext Infotainment system by HarmanTM comes with a touch screen AM/FM, USB, AUX IN, iPOD connectivity, Bluetooth connectivity and a Speaker System that can range from 6 to 10 speakers. The Steering mounted Controls for Audio, Phone and Cruise is another handy feature that enhances the overall driving experience. The car has four super drive modes: Auto, Comfort, Dynamic and Rough Road depending on the road conditions you are driving on. Traction Control System: if one of the wheels has no traction and the wheel is spinning freely, the car has the abilty to apply brakes on that wheel and transfer the power to the other wheel which has traction and helps you get out when you are stuck in a situation like this – basically a very uneven road. The stable chassis comes to the forefront here. Also on bad roads, the experience is smooth as the suspension makes the drive is comfortable. Electronic Stability Program (ESP) with Roll-over Mitigation: Likewise a special track with the left side full of rollers with no traction for the wheel and the right side with a firm surface, showed that the vehicle has a superior approach angle of 21 degrees. In this kind of situation, the electronic stability program and traction control come into play to ensure you are able to drive the vehicle smoothly. Articulation on wooden logs was also showcased where you could see how effectively the suspension works. Hill Hold Control and Hill Descent Control: This is a new technology that comes in handy especially when the car stops when you are climbing uphill. The car has a Hill Hold Control that allows you to release your leg from the brake for 3 seconds and the car will not move so you can navigate easily. On a 30 degree incline the car performed like a pro. Likewise the Hill Descent Control (HDC) technology has to be switched on manually when you go downhill. Typically when you brake in such a situation, the vehicle starts to slide. However, in the Hexa you can release your foot from the pedal and the vehicle will brake itself. Ground Clearance was demonstrated on a small flight of stairs and the approach angle of 21 degree was also showcased. Also the vehicle has a 450 mm water wading capability and this was showcased in a specially created pit full of water. Considering the recent spate of flooding in cities, this is certainly a very useful feature. 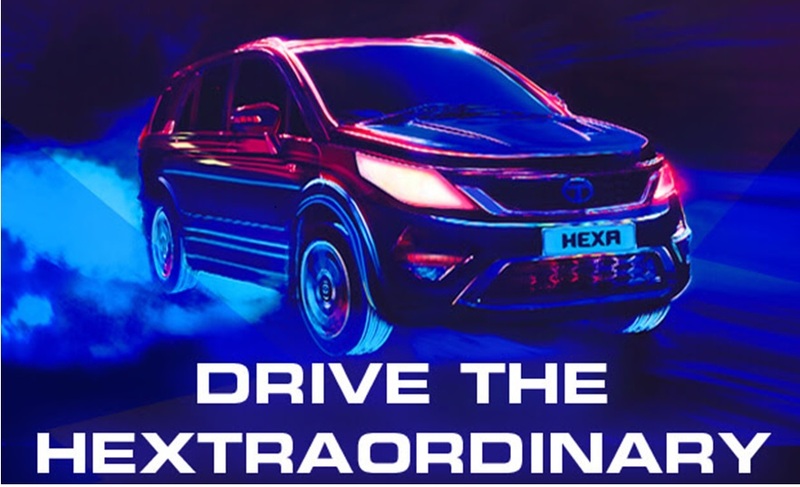 For more details check the Tata Hexa website that lists all the features of the car and has some great videos that shows you the capabilities of this wonderful new car!